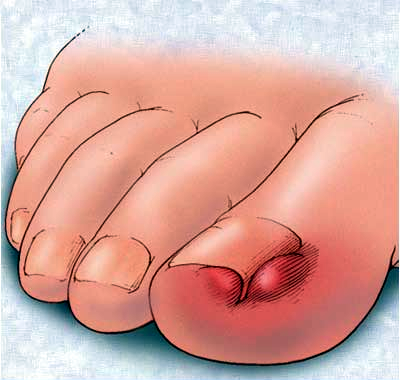 When people with diabetes develop foot wounds, there is a risk that the wounds will become infected. Once infected, the wounds become very hard to heal, and are known as ulcers. Podiatrists are constantly looking for new ways to treat ulcers because, left alone, they can lead to diabetic amputations. Well now, podiatrists in Australia have found a way to harness 3D printing technology to help wage the war against ulcers. Here's what you need to know. Doctors at the University of South Australia have come up with a new way to train podiatrists in the treatment of ulcers: 3D printed feet. Dr. Helen Banwell and Dr. Ryan Causby designed these 3D-printed feet with built-in holes, constructed to imitate the types of grooves wounds can leave in diabetic feet. Using a mix of icing sugar, chicken stock and flexible resin, the doctors then fill in the holes to resemble oozing, pus filled ulcers. The resulting messy feet are then presented to podiatry students in training to learn about ulcer-treatment protocols. Dr. Banwell says, "The most effective way to manage these conditions is to medically remove dead or damaged skin to expose the healthy skin underneath and encourage healing. But learning the necessary scalpel skills to do this is challenging due to the risks of 'practicing' on a such a high-risk population. The 3-D foot models—and the mock injuries with which we enhance them- enable us to provide a realistic but safe learning tool for students to practice their scalpel skills, before they begin clinical placements, and all without the stress or anxiety of treating a real patient." Of course, even as they train students to treat ulcers, Drs. Banwell and Causby are encouraging diabetic wound prevention. After all, as Dr. Banwell explains, "Over the past two decades we've seen a 30 per cent increase in lower limbs' amputation rates. About 85 per cent of these are preceded by a foot ulcer and could be prevented with appropriate care." If you have a hard time seeing all of your feet, especially the backs of the heels or the soles, try using a mirror or ask a friend or family member for help. Self-checks should be performed daily, but you should also see your podiatrist on a monthly basis for more comprehensive exams. And the most important advice we can offer is this: when something does go wrong, call our office immediately. Waiting a "few days to see what happens" before seeing someone may be the difference between a good and poor outcome. The sooner treatment is started the better. If you are diabetic and think you have a problem, call our office right away for an immediate appointment.